Triage Partners provides smarter, more-flexible, growth-oriented managed information and communications technology (ICT) solutions. We have the experience to anticipate challenges, and are nimble enough to develop creative solutions. Some of the most prominent telecommunications companies in the world rely on the competence and efficiency of Triage Partners, but our proven strategic approach to managed ICT solutions is ideal for businesses and projects of any size and scale. The foundation of our services is a suite of proprietary business intelligence software that allows us to streamline workflow and present data in clear, useful and actionable reports. Our commitment to innovation, professionalism and quality is evident throughout the life of a project. 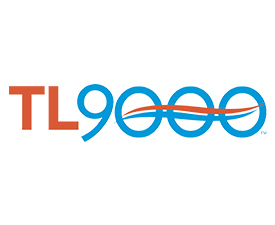 We are TL 9000 and ISO 9001:2008 certified and ensure we achieve the highest standards of quality. Our collaborative approach becomes the basis of our long term customer relationships. No matter the size of your business,Triage Partners is here to help meet and exceed your objectives. We're ready to meet challenges with innovative, efficiently managed and scalable solutions. Contact us about your next project.